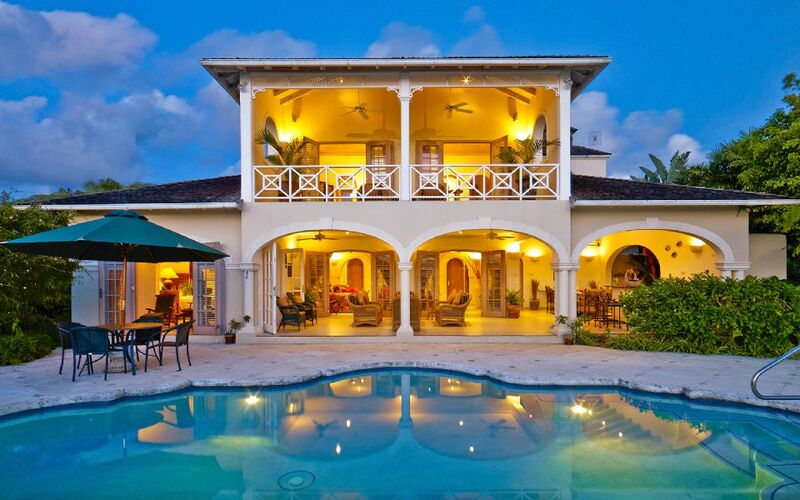 Villa Oceana is a magnificent 4-bedroom estate located in exclusive gated community of Sugar Hill in St James, Barbados. 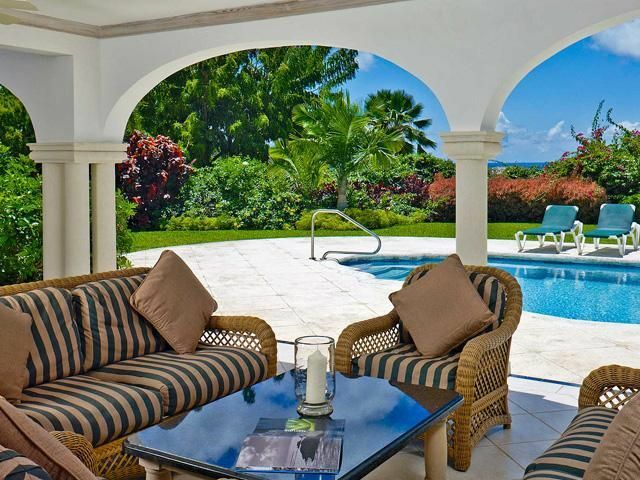 Overlooking the Caribbean Sea, the villa also has beautiful tropical gardens filled with frangipani, ginger lilies as well as banana and coconut palms. 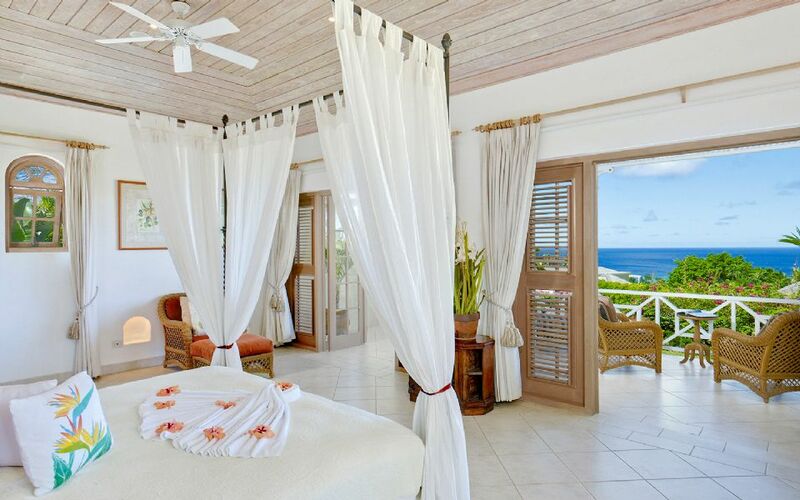 The interiors of the property are remarkably designed with curved doors and windows with natural wood and coral-stone walls. The matching shutters throughout the property add sophisticated refinement and provide cooling breezes through the living areas. Within the main villa, guests will find 3 of the wonderfully designed bedrooms with the 4th bedroom situated in the guest cottage. 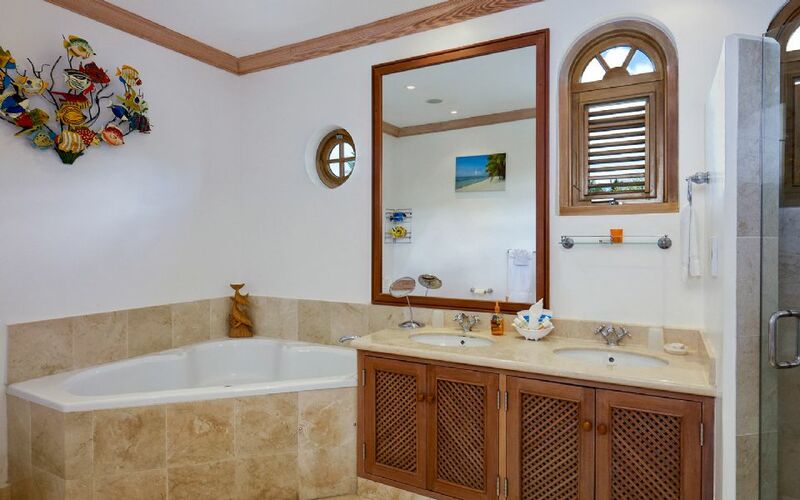 All bedrooms have air conditioning and marble en-suite bathrooms. 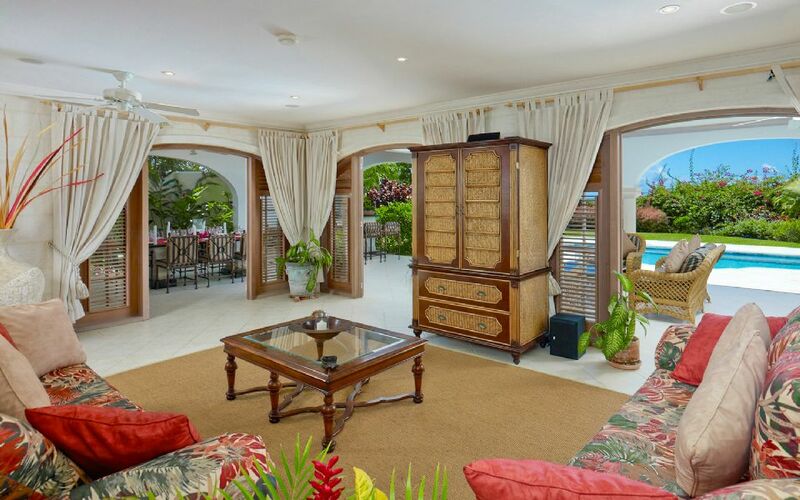 The spacious living room opens onto a covered terrace through 2 sets of French windows. On the right hand side of the hall, the lower bedroom wing can be found. A twin bedroom is on the opposite side of the hall. Beds can be configured in to a king-size bed and has a private patio. The end of the hallway has the queen suite with a seating area and access to the pool deck and terrace. 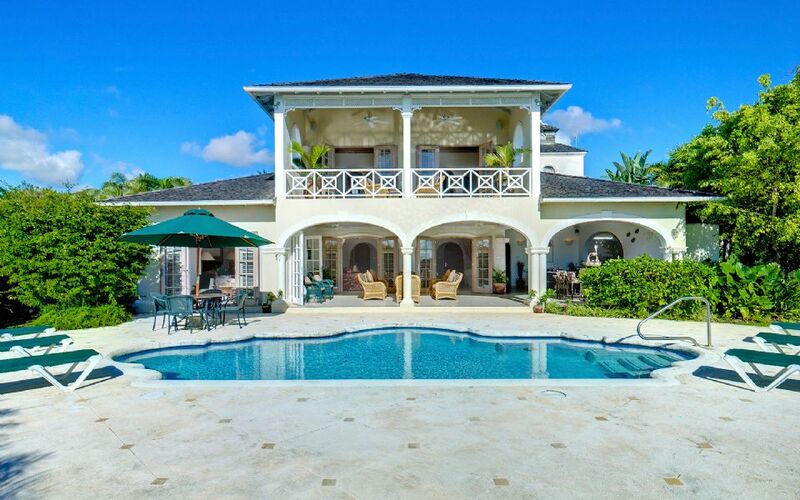 The authentic tower is a stunning feature of the villa and includes high vaulted ceilings and ornate windows. The top of the stairs is where guests will find the master bedroom with a super-king size four poster bed and a separate dressing room. The en-suite bathroom has a corner bath and a separate shower and toilet. 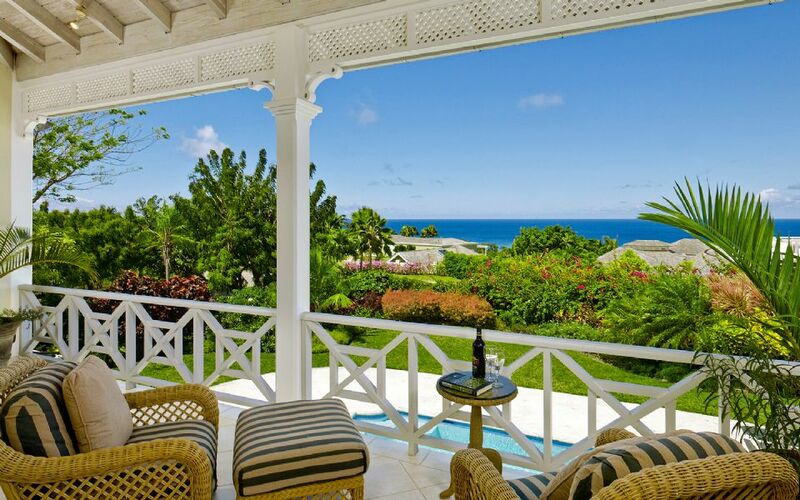 A private veranda is accessed via French doors and spans the entirety of the master suite. 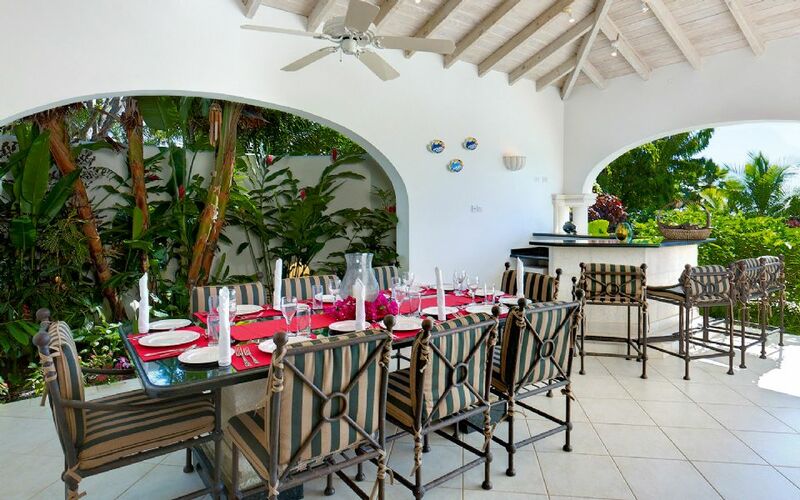 An open air dining room looks out towards the sea and makes yet another impressive feature of the villa with its internal garden and cathedral ceiling. The black granite dining table is carved onto coral pedestals and is complimented by a matching bar. Located next to the main house is a lovely self-contained 1-bedroom guest cottage with an en-suite bathroom and a kitchen. Guests of Villa Oceana have access to all of Sugar Hill's fantastic facilities; these include the exceptional clubhouse and swimming pool, restaurant, gym and David Lloyd tennis courts.